Stony Brook, NY, January 15, 2013 - Since 2001, the Sound Health report has documented the state of the health of Long Island Sound and its shoreline. In December, LISS released its latest report in the biennial series, Sound Health 2012, both online and in print. 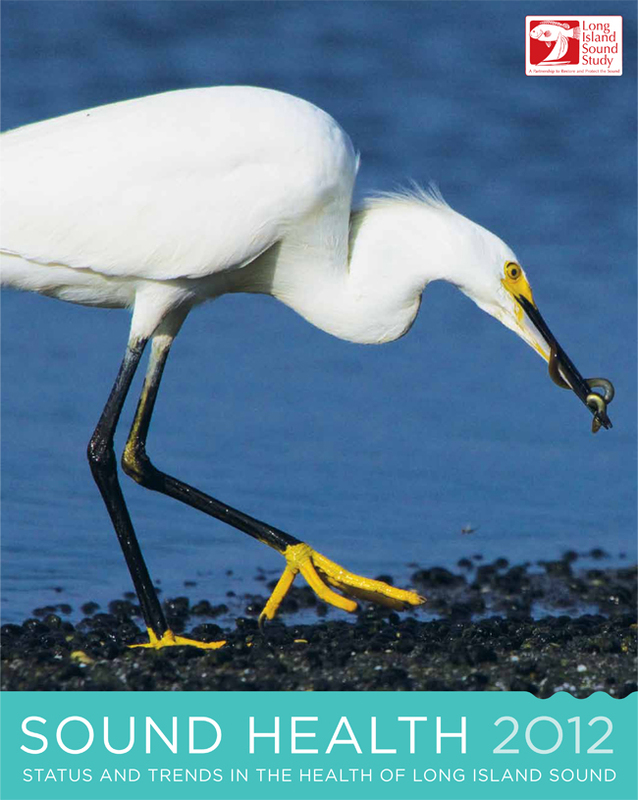 Sound Health 2012 looks at the indicators scientists and resource managers use to track and assess water quality, coastal and marine animal populations, habitats, and the impact of land use on water. A special section on climate and weather also looks at the impact of sea level rise and temperature on the environment. The 16-page report is available online at www.LIShealth.net, where you can find links to features about the Sound, including the Long Island Sound food web and a slide show of the Long Island Sound Trawl Survey. Also, this year you can ask Dr. Jason Krumholz, a marine scientist serving as NOAA liaison to the Long Island Sound Study, any Sound Health-related questions. E-mail him at askdrk@lishealth.net and see his answer at Dr. K's blog. Long Island Sound Health 2012 is available as a download (see "Related Info" box at right). Printed copies of the report are available through the EPA. To order your FREE copies, log onto EPA's publications Web site paste this order number into the search box: 902R12003. Copies are particularly popular with teachers who distribute classroom sets as part of their science curricula. For more on what you can do to make a difference, click over to the "Get Involved" section of the Long Island Sound Study's Web site. News on the Long Island Sound Study can also be found in New York Sea Grant's related archives.